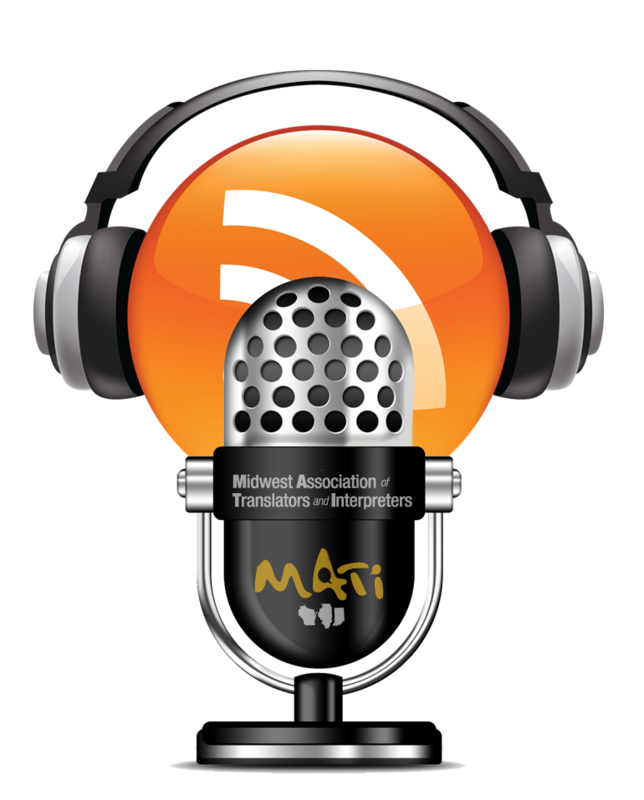 The MATI blog features articles pertaining to translation and interpretation. Subject matter includes issues pertaining to the field in the form of explorations into language, methodology and technology, book reviews, biographies, notes on presenters and meeting summaries. The views, opinions and statements expressed within each posting do not necessarily reflect the position of MATI as a whole. A review of the presentation given by Erin M. Lyons on November 5, 2015 at ATA’s 56th Annual Conference in Miami last November. Erin Lyons, also a French/Italian to English translator, specializing in the area of medical and life sciences translation, gave a very thorough and quite captivating presentation on the nuts and bolts of the SOAP (Subjective, Objective, Assessment, Plan) format used by doctors and how to better make sense of the scribbled notes, acronyms, abbreviations and unique language found in medical charts, lab reports and the like. Her stated objective was to help translators replicate the style and voice of healthcare professionals in their medical translations. In my opinion, she successfully accomplished this goal. She began by clarifying exactly what a SOAP note is and showed the audience a visual display of a typical medical record and its various sections therein: the Subjective, Objective, and Assessment sections and the last section containing the doctor’s Plan and the recommended next steps to follow. The Subjective section contains the patient’s main complaint or a history of the current illness. In other words, it lays out the primary reason the patient is seeing the doctor or why the patient is in the hospital. Doctors endeavor to gather and record as much subjective information as possible in this section, such as the illness’s onset, character, severity, duration, location, aggravating factors, etc. The Objective section contains the information gathered by the doctor through observation or measurement primarily of the vital signs (height, weight, temperature, blood pressure) or by performing a physical exam, lab tests, and recording any of the patient’s prescriptions. The Assessment section contains the medical diagnosis and includes all possible and likely etiologies (causes) of the illness. The Plan section contains the next steps to take per the doctor’s recommendation and may include the ordering of additional lab tests, radiological work-ups, referrals to specialist doctors, future appointments, patient monitoring, etc. After that initial overview, Erin delved into the nitty gritty of the actual phraseology and terminology encountered in a SOAP note and the necessity of researching correct usage so as to best render the sentence and/or word into the target language. Erin gave attendees a very useful tip by providing the link to an incredible website: https://www.cms.gov/medicare-coverage-database/staticpages/icd-10-code-lookup.aspx where we can obtain the exact medical wording/terminology for almost any medical condition by entering a medical code or keyword in the search box. For example, from my home computer, I entered the word “pulmonary” in the search box and obtained a complete list of pulmonary-related ICD-10 Codes1 and their precise code description. To name a few for the purpose of illustration: pulmonary mycobacterial infection (Code A31.0), idiopathic pulmonary fibrosis (Code J84.112) or congenital pulmonary valve insufficiency (Code Q22.2). This resource will save tons of time for the medical translator and made the presentation worth attending in and of itself! Erin emphasized using the present tense in our translations even though the source may use the past or a mix of tenses and explained the necessity of handling acronyms appropriately as the target audience of our translation may not be a healthcare professional. She suggested we expand acronyms (d/c = diarrhea/constipation) but not attempt to translate the more complex or lengthy acronyms directly as this often results in total gibberish—as I know from personal experience! She said identifying the type of acronym or abbreviation can help us in the translation process. For example, becoming familiar with Latin abbreviations such as h.s. = hora somni = at bedtime, or inversions of acronyms written in the source language medical report, such as IRM (French) for MRI (English), etc. In the middle part of her presentation, Erin gave a review of the body systems that frequently appear in a SOAP note (for example, musculoskeletal, neurological, endocrine, and cardiovascular) and the doctor’s use of specific terminology when dictating or writing ROS (review of systems) notes. She gave attendees another very helpful link with numerous tools for understanding SOAP notes in general: www.soapnote.org, and specifically with regard to deciphering lab tests, a wonderful link to an index of medical glossary terms, conditions and their related lab tests: https://labtestsonline.org/map/gindex. A few final points Erin offered were to remember to refer to the physician in the third person, even when the first person is used, to be succinct using plain language and to not embellish the text and to use an appropriate register (formal) and medical terminology (often the Latin cognate). For example: abdomen vs. stomach, renal vs. kidney, thrombus vs. blood clot, etc. In sum, SOAP notes are intended to improve communication among healthcare providers by using a specific notation system that is structured and organized. This highly structured system can provide the translator with clues on deciphering the medical terminology and acronyms found within the document. Since SOAP notes are universal, Erin advised translators to learn the preferred terminology, acronyms, symbols and shorthand associated with their specific source and language combination. The link to her complete and very informative presentation can be found at: http://www.slideshare.net/ErinLyons/soap-notes-getting-down-and-dirty-with-medical-translation. 1 (10th revision of the International Statistical Classification of Diseases and Related Health Problems (ICD), a medical classification list by the World Health Organization (WHO). It contains codes for diseases, signs and symptoms, abnormal findings, complaints, social circumstances and external causes of injury or diseases. Patrice Van Hyle is a freelance translator from French and Italian into English and has been in operation since 2002 under the auspices of her own company, /PVH TRANSLATE LLC/. She has attended many ATA Conferences over the years and has been active in other similar organizations such as MATI, CHICATA, the Milwaukee World Trade Association, the International Institute and the Alliance Française of Milwaukee. Patrice enjoys writing and has contributed numerous articles to various publications both in the area of translation as well as in the field of human rights, the environment, international development and interreligious dialogue. Her most recent translation specializations include the pharmaceutical industry, the environment and labor law. She was featured last March 2015 on the cover page of the Milwaukee Journal's Business Section in an article entitled “Love of languages translates into fast-growing career”. Read in full at: http://www.jsonline.com/business/love-of-languages-translates-into-fast-growing-career-b99461200z1-297317351.html. This article is posted with permission from Wojowski's Translation Technology Blog. It is a follow-up to "The Personal Cloud: your own asteroid in cyberspace," published on the MATI blog with permission in August 2015 from Wojowski's blog. Readers may benefit from reading that original article before attempting to follow the instructable below. This post is a follow-up to my previous post regarding personal clouds. While Tonido for Windows on a desktop or laptop works just fine, the power conscious might want a low-power alternative to keep their personal cloud online and always available. As a point of reference, the typical computer power supply for a desktop draws 22 Amps at 5 Volts. In contrast, the Raspberry Pi 2 (herein RPi) draws 1.8 Amps at 5 Volts. All of the items you will need. Hardware items you likely will not have or will not have spares to dedicate to full-time usage. Hardware items you may already have in your living/work space. Estimated time: 1 hour depending on internet speed and familiarity with UNIX-based systems. To start out, take the RPi and place it in its case. Plug in all the cables (including the HDMI to a receiving monitor/television) except for the micro USB plug for power. Get your software lined up and download Raspbian for the operating system (it will download as a .zip file; unzip it to your downloads folder; the resulting unzipped file will have the extension .dd), and rufus to create the bootable MicroSD Card (i.e. mount Raspbian onto the MicroSD so that the RPi unit can read it properly as a source for the Operating System). Once the disk has been formatted, open rufus, select the device from the dropdown list under device, FAT/FAT32 under file system. 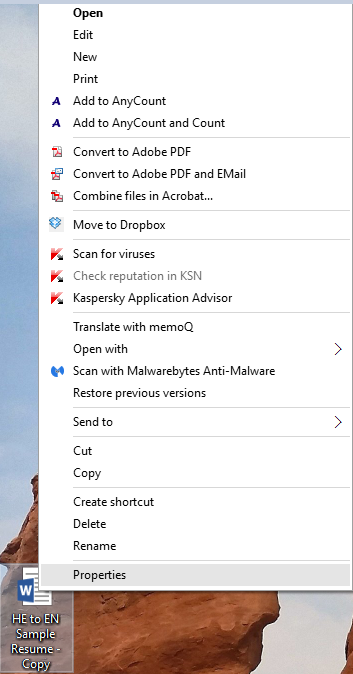 Next to “create a bootable disk using,” select “DD Image,” and next to that dropdown list, click on the icon which allows you to select an image. Navigate over to where the .dd image file is located; select, click open, and then click start. After it does its thing, eject the disk from the computer and place it in the microSD card slot on the RPi unit. The old RPi units had a friction-fit SD Card slot where you just slid the SD card into the socket as far as it would go; in the RPi 1 Model B+, and the RPi 2, they replaced the friction fit SD slot with a push-push microSD slot – push the microSD card (metal contacts up) into the slot until it clicks and release. To remove, do the same. Once the microSD card has been inserted into the unit, turn on the receiving HDMI display and plug the microUSB into the port and into the wall. Once you do this, the screen will show all the tasks the RPi is performing. The first time you start up the RPi, you will be brought to the Raspberry Pi Software Configuration Tool (which you can always access from terminal by giving the command for raspi-config) which is a GUI that you can navigate using the arrow keys and “enter.” Select option 3 “Enable boot to Desktop/Scratch” and then the second option, “Desktop Log in as user ‘pi’ at the graphical desktop.” Once you select that option and hit “enter,” you will be brought back to the main menu. Now, go to option 4, “Internationalisation Options.” For US, Go to “Change Locale” and with the spacebar, unselect en-GB and select en-US-UTF-8. Hit Enter. Next go to “Change Timezone” and select your timezone by largest nearest city, “Chicago” for me. Lastly for Internationalisation Options, select “Change Keyboard Layout” and change to your keyboard’s layout. Go down to the eighth (8th) item to select “Advanced Options.” At this menu, go down to A0 Update and hit “enter” and the RPi will use network connection to retrieve any available software updates – just let it do its thing. Once that has finished, select <Finish> at the bottom of the main configuration screen and you will be led back to the regular RPi Text-based UI. 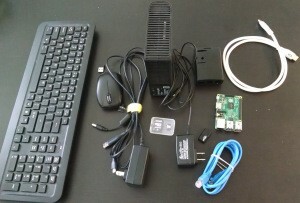 When you are presented with “pi@raspberrypi¯$” you can type sudo reboot and the RPi will reboot itself, applying the changes to the configuration–it should be noted that if ever you are asked for a username or password, the default username is “pi” and the default password is “raspberry.” When the RPi reboots, it will boot directly into the Desktop GUI Environment. Once the RPi has rebooted, open the LXTerminal and input the following commands (each line is separated by hitting Enter). Replace <RPi IP Address> with the one given after inet from the second LXTerminal window. Then, you will be allowed to create your username and password. Once you have done that, you can click on “Settings” and then “Misc” where you can choose which folders to which you would like to allow remote access. When that is complete, you can unplug the HDMI cable and leave the unit where it is while it runs Tonido. The great thing about this service is that just like with other personal clouds, you can access your files from a web browser or you can also mount it as a drive in Windows, access items from your mobile device using the application, etc. And one last item, do not ever worry about messing up anything in the software of the RPi. If ever something does not work like it should, all you have to do is re-format the MicroSD card and start over again. The glories of working with a Raspberry Pi! Joseph is the Vice President of MATI; Director of Operations at Foreign Credits, Inc. in Des Plaines, IL; Chief Technology Officer at Morningstar Global Translations; and a Certified MemoQ Trainer. At MATI’s 12th Annual Conference, I spoke about translator scammers during my presentation, “Lying Through Their Teeth: Identifying Translation Scams.” An awareness of translation scams is essential in the technological age of our industry, in which a translator’s professional credentials and contact information can be hijacked, resulting in monetary losses, the loss of (potential) clients, a damaged reputation, and losses in valuable time and efforts to restore the state of one’s business. In this article, adapted from a previous blog post I wrote on the topic (posted on my Translation Technology Blog here, and on the MATI Blog here), I provide step-by-step instructions for the some of the tips I spoke about at MATI12 for preventing and combating scams. Let me start with an introduction of the kinds of scams that are prevalent: the theft of CVs and résumés, and fake translation job offers. In terms of the first category of scams listed above, translators and interpreters well understand the importance of the CV or the résumé, since for most T&I professionals, we do not create/update these documents every couple of years to gain new long-term positions. Rather, CVs and résumés are the ambassadors for our brand and draw people in to contract us out for work on a daily basis. We have spent years going to school and building our professional reputations, work and experience, efforts which are represented in documents of this kind, and which can be damaged if that information is not carefully protected. Professionals need to protect themselves from translator scammers, who actively seek out CVs and résumés that are editable and then change the contact information—nothing else—and submit the fraudulent CV as their own to get work. The unsuspicious agency receives the fraudulent CV, checks out the legitimate translator’s credentials and uses the contact information found on the CV to hire the thief. The thief will then delay delivery of the translation, and if s/he delivers at all, the translation will almost always be poor in quality due to the use of free, public machine translation, such as Google Translate, without post-editing. What’s worse, the scammed project or quality manager may then contact the actual provider regarding issues with their supposed work! The legitimate translator is then stuck with the headache of trying to repair both the botched job, which they didn’t accept or agree to, and their damaged reputation. Similarly, scammers may pose as translation companies or independent project managers and prey on unsuspecting freelance translators. They will set up jobs and contract freelancers out for projects, overpay by check and then ask the freelancer to send a check with the difference. Meanwhile, the original check to the freelancer bounces, the freelancer gets charged a bounce fee, and the check to the thief with the difference gets cashed. What ends up happening is that the freelancer gets taken for a ride and penalized twice for performing a legitimate service. First and foremost, I believe in being pro-active in all matters dealing with fraud. The harder you make it for someone to steal your credentials, the less-likely someone will be to do so. In my honest opinion, it is worth the time to make stealing your credentials harder when preparing your CV than the damage caused by a ruined reputation. 1. 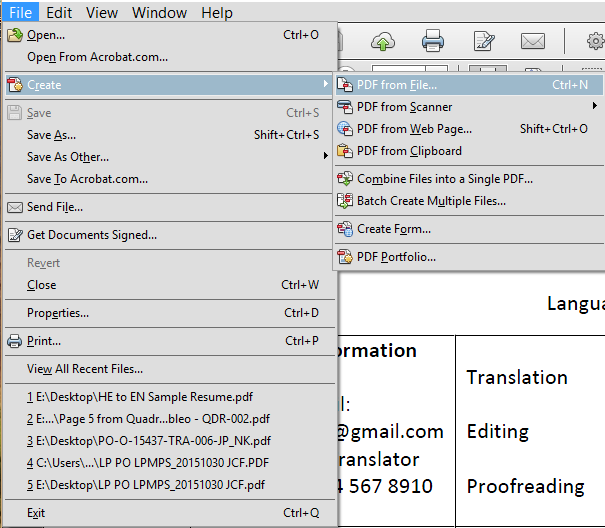 Translators: stop sending out your CV in editable document format. Editable documents such as text files and word documents are called that for a reason, they are editable; and as described above, conmen can make fast work of your editable content! Even in documents that are password-protected, text can still be copied and pasted to another document. PDF files are not even an adequate solution, since scammers can still copy and paste content from that file format. 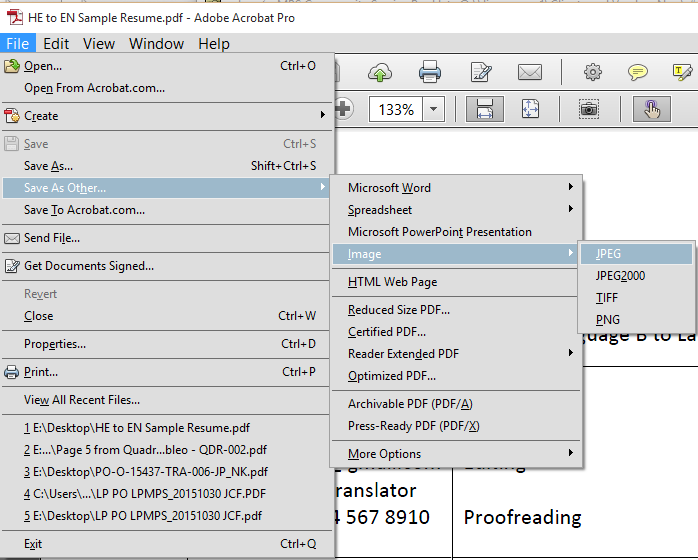 For a medium level of security, I therefore recommend that you save your CV as a PDF, export the PDF files to jpeg format (you’ll get one image per page). Next, reassemble the images into a single PDF (this will also make the file size smaller). 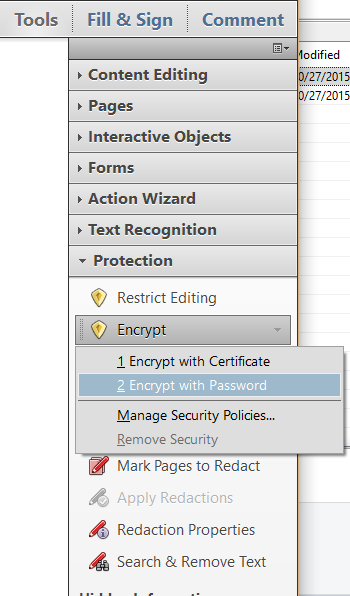 Then, go into password encryption and modify the Document Restriction Settings, not allowing text access or content extraction from the document and only allowing low-res printing. This level of security prevents the reader from using Optical Character Recognition (OCR) to lift text from the flat image, prevents them from copying the image via snapshot, and prevents others from exporting the images to other file formats. 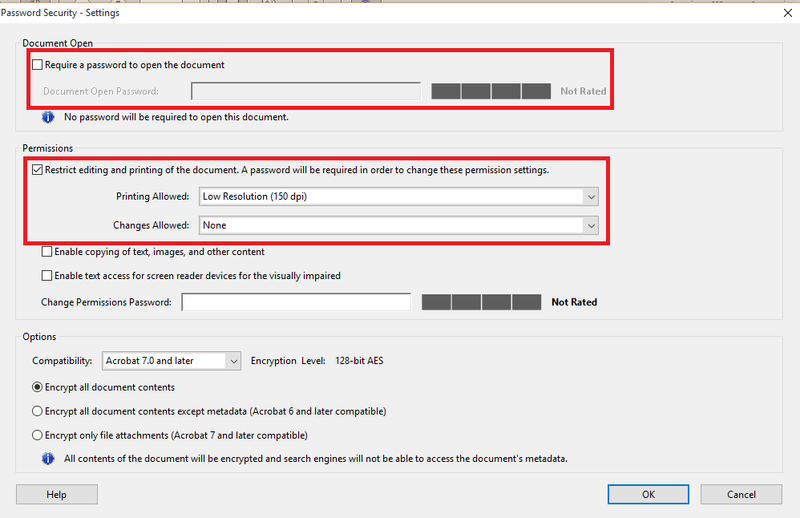 For a higher level of security, use the document open settings to restrict the opening of the PDF, in addition to the medium level document restrictions using a different password than the medium level password. This will enable you to control who can and cannot open your CV and still control what they can do once they have opened the document. If you chose this higher security route, I will leave it up to you as to how you would like people to get the password to be able to open the document. A simple suggestion might be to have someone who would like to see your CV submit a request on your personal website asking for the password. Get creative, but always be aware of who you are giving viewing access to. 2. Translators: cross-reference contact information with information found on the company’s actual website. There are also a number of references on LinkedIn and translator fora you can visit to see if anyone else has written about a company that has contacted you for services. And head over to http://www.translator-scammers.com/ and do a quick search to see if someone who contacted you is on the scammer list. 3. Translators and LSPs: check the sender’s IP address and verify that the message was sent from the translator or company’s documented location. There are a number of methods to check the IP address of the sender, depending on the email carrier you use. In general, you will right-click in the body of the email and click a phrase like “Show source.” In gmail specifically, you click the down arrow next to the “reply” button and then select “Show original.” This will bring up a webpage containing the html coding. You can next click Ctrl+F and search for “Received: from”. Not too far after that highlighted phrase, you should be able to find the IP address of the sender, four sets of two to three numbers separated by periods (i.e. 123.45.67.891; redacted in the image below). Copy the IP address into one of many IP address locators, like ipfingerprints.com, which will give you the location of the server from which the sender’s email has originated. Check that this location matches the location of the vendor/LSP that you are working with, but also be aware that for accounts like gmail and outlook, the IP address will be the location of the server hosting those accounts. 4. LSPs: when looking over résumés, check out the person’s contact information on her or his résumé, and cross-reference this information against any profiles on TranslatorsCafé, Proz, and/or professional association directories, etc. (trusting the professional association directory over any other source). If something does not quite add up, send the translator a message letting them know about the contact information discrepancy. 5. LSPs: check for consistency in other provider details. Red flags include language pairs that don’t match the geographic location of the provider and a lack of contact information. When checking CVs and résumés, you can also verify that the document properties correspond with the vendor’s details. Simply right click on the un-opened file, and navigate to properties. 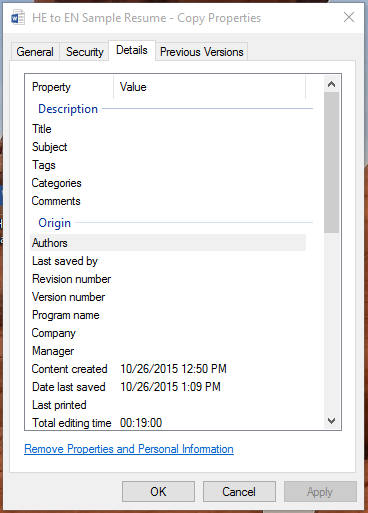 From there you can check the “details” of the file, including the document author. Once you’ve identified a translation scammer using the tips provided above, fight back! Help your colleagues avoid scammers by sharing the scammer’s contact details on social media, and forward the fraudulent email and CV to translator.scammers@gmail.com or mail@translator-scammers.com. You can even flood the scammers’ inboxes with emails, by visiting http://translator-scammers.com/translator-scammers-fightback.htm. Overall, protecting yourself from translation scams just boils down to how pro-active you are. You do not want to be in a situation where you have a translation company on your back accusing you of providing poor translations, asking you to fix the errors when you did not have any prior contact with them to begin with. Or wasting time and energy hounding a translation company for payment when the company never really existed in the first place. Being aware of translation scammers and taking simple steps to protect yourself and your colleagues can help ensure that our work environment is a safer place for all professionals. Where do you live and/or work? I live and work (and go to school) in Milwaukee. I am a student in the M.A. in Language, Literature, and Translation at UWM, concentration in French to English translation. I also work full-time for an international medical society downtown. What inspired you to get into your field? When I was younger I had some misconceptions about what makes a good translator. I was always interested in language and cultures, and I had studied French all through school, but felt a translation career was unrealistic. I thought that my school-learned skills would never compete with the skills of those who had lived in a francophone country for a long time or learned French from a parent. I didn’t understand that being a good translator isn’t just being bilingual. Then, as an undergrad I saw a lecture by a patent translator working in my language pair. She had acquired her B language through study, like me, and she was not an engineer, but she was still very successful in her work because she was an excellent researcher and writer. It made me see translation as a real option for the first time. I’ve taken a little bit of a winding path, but one constant has been the enjoyment and fulfilment of helping people communicate across language and cultural barriers. In Fall 2014, I officially entered the MALLT program and I’m really happy to be starting this new career. Where do you see your field going in the future? What are the most urgent issues to be addressed? So, I’m going to answer this question as a student who has not yet worked professionally in the field – take it with a grain of salt. This semester, we’ve been studying the professional aspects translation, including challenges faced in educating the public about the field. Clients with misconceptions about the translation process have unreasonable expectations for work volume and speed, not to mention the idea that Google Translate is a viable replacement for a professional translator. From my perspective this seems like the major issue of the day. If we’re not all working to correct these misconceptions, then we could find ourselves trying to meet them, lowering work quality and subsequently the client’s perception of our skills and talent. Aside from always having those good conversations with clients, blogs seem a good vehicle for to discuss these issues with the general public, and having them improves SEO. Do you have any tips for those starting out in the field? For those who’ve been in the field? I’m going to turn this around and ask my future colleagues, for a student just starting out in the field, what is the one thing you wish someone had told you at the beginning? You can reach me at cebreckenridge@gmail.com. Why do you think it’s important to belong to professional organizations like MATI? By Enrica J. Ardemagni, Ph.D. In the fall of 2016 Indiana University Purdue University Indianapolis (IUPUI) will begin a Graduate Certificate in Translation Studies in French, German and Spanish. The Graduate Certificate in Translation Studies builds on a set of successfully implemented undergraduate translation courses by a cadre of faculty experts in the field in a context of increased demand for higher credentialed professionals and academic specialists. Globalization of business, law and trade relations and the changing US demographics have increased demand for translation skills in many fields, especially: educational, medical, legal and technical. The current demand for skilled translators far outweighs the supply available. The certificate is a total of 18 credit-hours, or a total of six courses, distributed among two core courses in the history and theory of translation, and the application of computer-assisted translation technologies, followed by two language-specific translation courses in Spanish, French or German, a linguistics course and a final internship or individual project. 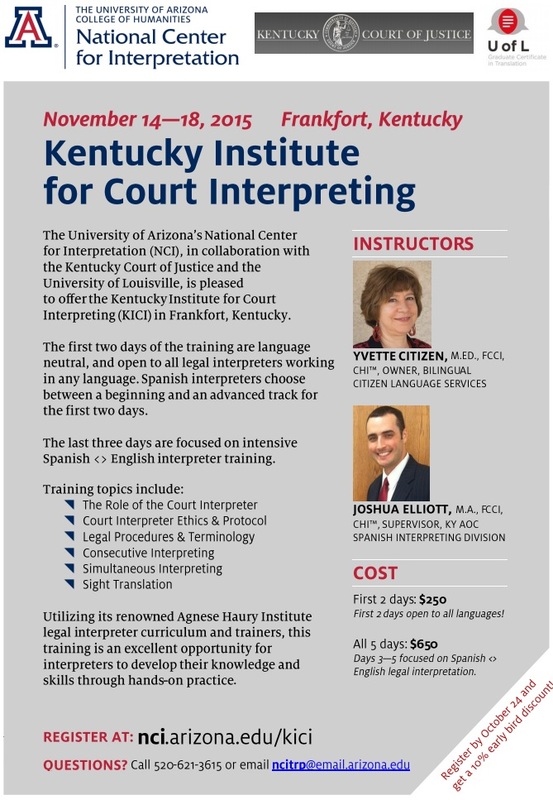 Additional offerings include four courses on Medical and Legal Interpreting. Courses are offered on a strategic rotation schedule. For more information, please contact wlac@iupui.edu. In the beginning of the presentation, I was one of many attendees to be wrapped up in Waters' accounts of the humanitarian missions she embarked on as a college student with the International Public Health Response Team. It was October 1998, and Hurricane Mitch had just devastated areas of Central America. In a small village on the banks of the Rio Coco (which makes up the southern border of Honduras), Waters and her colleagues worked tirelessly to ensure clean drinking water and safe abodes for the villagers after this catastrophe. Charged with interviewing each family to create a census of the damages done, Waters had to ask the impossible: “What did your family lose to the hurricane?” Aside from material items and homes, these families had lost countless loved ones. Her initial interview-style approach to collecting this census data proved unsuccessful. Unsure of how to proceed, Waters heeded the advice of her interpreter and cast aside a direct line of questioning. Instead, she learned to collect the information she needed more organically. At this point, Waters fully embraced the subject matter of her presentation: the theory and methodology of Accompaniment. “To accompany is to place oneself with another,” Waters explained. This theory is all at once broad and specific. During her time in Central America, Waters learned the fine art of connecting to her interviewees with her compassion and empathy. She understood that being present with someone in their time of need was enough to encourage a relationship that would open lines of communication and build a sense of trust. By the end of her time with hurricane victims, Waters had the census data she needed, but not because villagers had answered her questions directly. Instead, the relationships she had developed meant she knew the answers to her questions in the same way that a friend knows about the life of another; through natural communication and by existing alongside another’s loss without turning away from it. Throughout the presentation, Waters emphasized that even she herself wasn’t sure how to apply the Accompaniment Theory to the role of the language provider. Waters asked: was this something that was already happening on the ground? Was she stating the obvious? Do language providers already naturally and intrinsically incorporate accompaniment in their role? Waters pointed out that ample opportunities for this kind of empathy and awareness to improve the language industry exist – starting with language providers simply talking about their experiences and opening the lines of communication to discuss these grey areas of their work. Conversations such as these can improve industry standards as a whole, and served as the basis for Waters’ activities at the conference. By providing both the professional and humanitarian sides of the Accompaniment Theory, Marina Waters created a presentation which brought a higher sense of awareness to the role of the interpreter; an awareness that interpreters among the conference attendees may or may not have already understood. In either case, this sense of awareness was a welcomed perspective on the interpreting industry. At MATI’s 12th Annual Conference, held in Merrillville, Indiana on September 26, Cris Silva discussed different methods for teaching translation and interpreting in the presentation, “Online Education for the Next Generation of Translators and Interpreters.” During her presentation, Silva explored concerns and issues associated with the teaching of such fields online, a format with its own challenges and advantages. Silva first briefly presented the worldwide history of T&I (translation & interpreting) education, which has its roots in the Université de Genève, Switzerland, one of the oldest T&I schools in the world. Through the technological developments of the ages, we have now progressed to our current ability to carry out education in an online format. Moreover, thanks to the advantages posed by globalization and virtual connectivity, we have access to countless resources that can be used in the teaching of T&I, including Skype, FB and online forums, just to name a few. This is the context in which distance learning now takes place, an educational “environment” in which teachers and students are in different physical locations while participating in the same educational events. The concept of distance education is actually not new though, according to Silva, beginning as early as the 1700’s. E-learning, on the other hand, began around the 1960’s in Stanford, where they used computers in elementary schools for teaching both math and reading. Silva next highlighted the two possible modes of e-learning: synchronous and asynchronous learning. Synchronous learning, she noted, is most often associated with the traditional classroom setting: students learning together in the same place at the same time from a lecture or lesson being presented by an instructor. However, Silva pointed out that e learning can also take place within a synchronous format. For example, webinars bring trainers and students together and have the added bonus of being recordable to be consumed later. Alternatively, asynchronous learning does not require all parties to be in the same location at the same time; for example, for online classes, the instructor can post something on the web for students to view later at a time convenient for them. As you might imagine, there are advantages and disadvantages for both modes and settings, and for online classes versus face-to-face instruction as well. However, Silva emphasized the biggest concern for the online environment, saying, “Bandwidth is everything.” Although online instruction involves several technical requirements for both students and instructors, Silva noted that this was the most important requirement to keep in mind. Beyond the challenges associated with technology, Silva noted that teaching students’ with multiple individual language pairs is much more challenging for instructors than teaching to a single language pair. In addition, the format of classes needs to be considered. According to Silva, the most typical format consists of core classes, electives or specialty classes, and a capstone project at the end of the program. Courses may include activities that Silva carries out in her own classes, like screen sharing, the use and discussion of translators’ logs, and peer-editing. Cris Silva graduated from Kent State University, where she obtained an MA in translation. She currently lives in Colorado, where she has continued her work as a project and terminology manager, freelance translator, conference interpreter, and voice-over talent. She also teaches translation at institutions such as the Middlebury Institute of International Studies at Monterey’s Graduate School of Translation, Interpretation, and Language Education, New York University, and the University of Denver. Before becoming a full-time linguist and project manager, she worked in radio broadcasting. She is also an ATA-certified English>Portuguese translator. Katalin Young is an MA student at the University of Illinois in Urbana-Champaign and is focusing on Conference and Community Interpreting in the Translation Studies program. Although she is dedicated to the practice of Spanish<>English interpreting, she has also studied many other languages, including Mandarin Chinese, American Sign Language, Catalan, and currently, Korean. At the 12th Annual MATI Conference in Merrillville, Indiana on September 26, 2015, Olga Shostachuk treated her audience to “Immigration in the Eye of the Beholder,” lending insight into immigration law and specifically the asylum system and the role interpreters play within it. Shostachuk, a PhD candidate in Translation Studies at Kent State University, is an active translator and interpreter working in Ukrainian, Russian, and English, specializing in legal and medical translation and interpreting. She also teaches translation and Russian. Shostachuk began her presentation with an overview of the complexities surrounding immigration law. She also discussed the immigration court system. With 260 judges, 58 courts, and a plethora of acronyms to remember, it creates a challenge for translators and interpreters. The Executive Office for Immigration Review (EOIR) of the Department of Justice (DOJ), for example, includes the Office of the Chief Immigration Judge (OCIJ), the Board of Immigration Appeals (BIA), and the Office of the Chief Immigration Hearing Officer (OCAHO). The Department of Homeland Security (DHS) includes Customs and Border Protection (CBP), United States Citizenship and Immigration Services (USCIS), and Immigration and Customs Enforcement (ICE). The CBP and ICE function as law enforcement agencies, while USCIS handles queries from immigrants and immigration benefits. These terms and many more are included in an immigration law glossary Shostachuk provided as a handout, a resource of great value, especially to those seeking to enter the field. Shostachuk went on to give an overview of the asylum system and the ways in which it can be abused. She stressed the fact that fabricated asylum stories are often tighter than true ones, which can be muddled by trauma and its aftereffects. Further, working as an interpreter for asylum seekers requires a strong stomach, as it involves retelling horrific stories and abuse. Applicants’ physiological and emotional states may be compromised, and so might the independence and invisibility of the interpreter. Additionally, interpreters must be prepared for all measure of seeming non-sequiturs, as what initially sounds like a rambling tangent may turn out to be critical to the applicant’s claim. Recognizing that showing can be more effective than telling, Shostachuk enlisted three volunteers from the audience to demonstrate the pitfalls of interpreting for an asylum seeker. Shostachuk’s demonstration took the form of role-play, with volunteers playing the parts of an asylum applicant, a consecutive interpreter, and an immigration officer. The volunteers read from a script, in which the applicant described how a man she had thought was a friend had turned around and done something horrible, before suddenly saying, in answer to the officer’s question about what happened that night, that she had always liked bananas, that the man used to bring her a banana to class every day. In the first version of the script, the interpreter interrupts and interprets this right away, rather than waiting to see if the connection between bananas and that horrible night would be revealed. This, Shostachuk explained, could be dangerous for both the applicant and the interpreter: to the officer’s ears, the applicant may seem to be talking nonsense, or she may believe the interpreter to be interpreting incorrectly. In another version, the interpreter waits for the applicant to return to the topic at hand before beginning her interpretation, making the connection between bananas and the applicant’s claim clear to the officer, and the importance of the interpreter allowing asylum seekers to tell their stories in their own way clear to the audience. Overall, Shostachuk gave a thorough demonstration of the challenges immigration court interpreters face, from the broad knowledge base required to navigate the system to the sensitivity and human awareness needed to interpret effectively for asylum seekers. Her fascinating presentation brought the conference to a thoughtful close, leaving attendees with much to consider in future court and legal translation and interpreting endeavors. Abigail Wright is a second-year student in the Master of Arts in Translation and Interpreting program at the University of Illinois at Urbana-Champaign, specializing in Spanish into English translation. She holds a BA from New York University’s Gallatin School of Individualized Study and joined MATI in 2015. Register by October 24th and get a 10% Early Bird discount! In case you missed the big announcement at the 12th Annual MATI Conference on Saturday, MATI is starting a video podcast! The podcast will feature the latest news and events from around the industry, board member interviews, industry leader interviews, and more. Why are we doing a podcast? Mainly because the VP thinks there are many other translators out there who, like him, do not feel like reading when they are done with work for the day. Moreover, it is something no other chapter is doing and it will set us apart from the others. office hours 9am to 5pm e.s.t. Membership website design & development by Webbright.